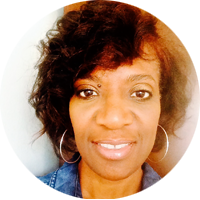 Joyce Washington has over 15 years of international video, television and film production experience under her belt. She has produced music videos for artists: Beyoncé, Kelly Clarkson, Mary J Blige, LMFAO, Will. i.am, Joss Stone, Marc Anthony, Lil Wayne, Robin Thicke, T.I., and many more. Her credits as a producer also include commercials for Beats by Dre, Colgate, Pepsi, Sears, and AT&T, and music video clips for award-winning directors Tim Story, Hype Williams, Jake Nava, Benny Boom, Nick Quested, Antti Jokinen, Bryan Barber, Paul Hunter, Billie Woodruff, Erik White, Marcus Raboy, Dave Meyers and Darren Grant. Joyce was the co-creator and Producer for “Totally T-Boz” for the TLC Network; 2nd Unit Producing scenes for “Think Like A Man” for Screen Gems/Rain Forrest Films; as Producer for the comedy short “Skank Robbers” starring Jamie Foxx and Martin Lawrence, as well as Producer for Centric/BET “Be Inspired, The Life of Heavy D” and “Don Cornelius–Visionary, Trailblazer and Cultural Icon” documentaries. She has also produced abroad in Rio De Janeiro, Jamaica, Dublin, Puerto Rico, Toronto and Johannesburg. Recently Joyce produced the second season of R&B Divas-LA for TV One network. She manages video production for Ivy Digital.